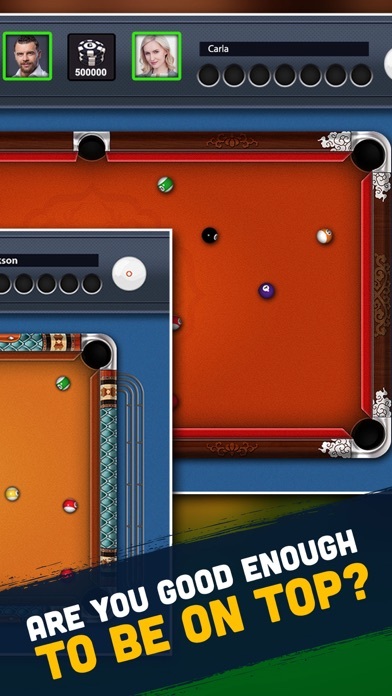 Don't play billiards alone. 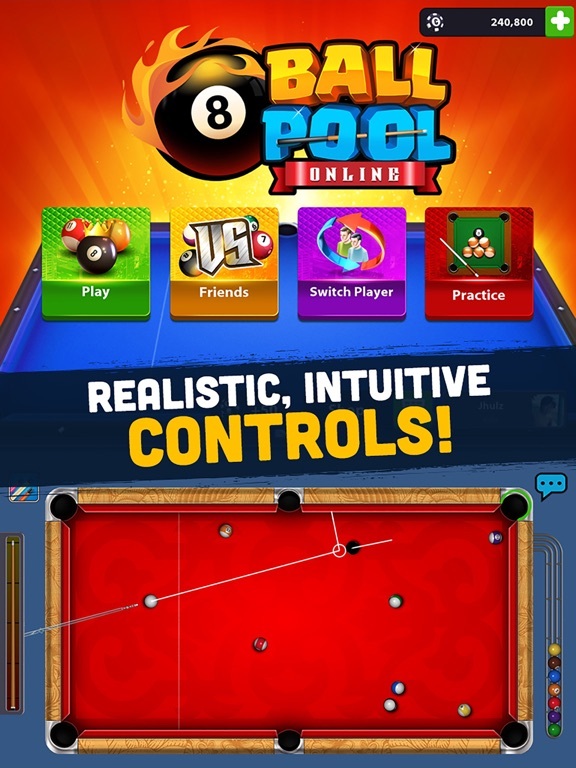 Play with friends and pool pro's all over the world! 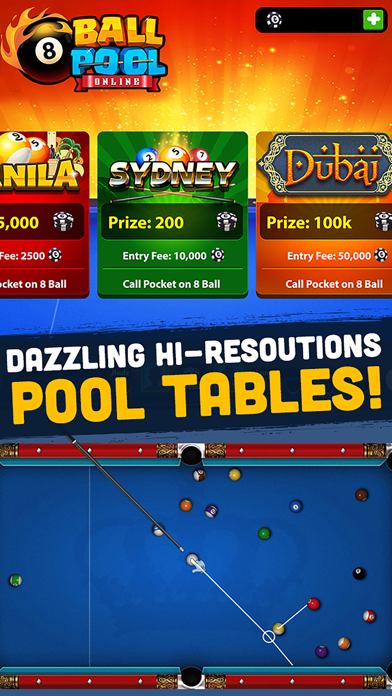 Become the champion as you take on the competition in every city as you level up and improve your game! 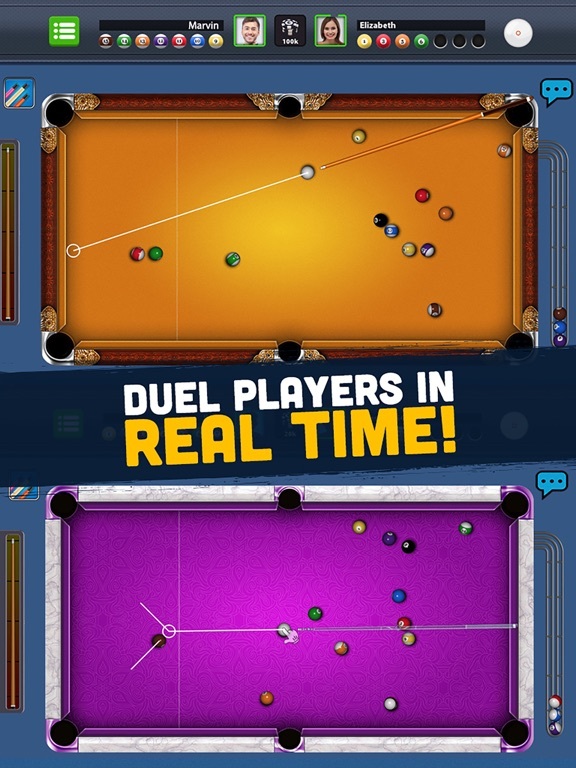 One of the most realisitic billiards games on mobile! 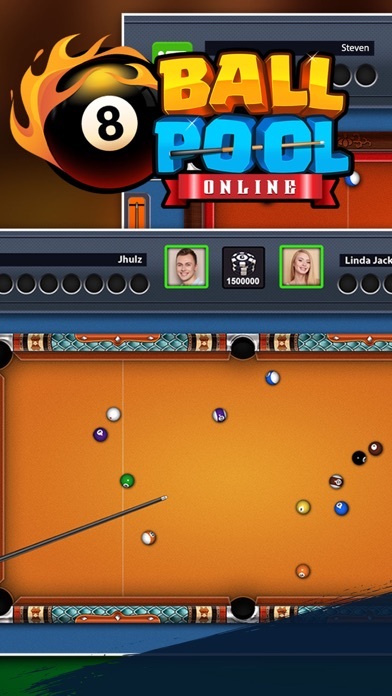 Customize your cue and table in every game you play. 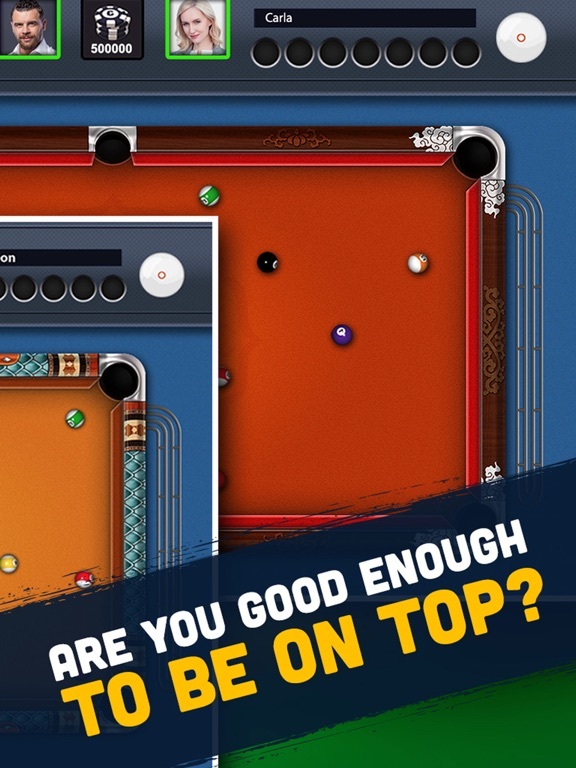 Improve your skills and your cue as you level up in more competitive challenges where the stakes are higher and the payoffs are huge! 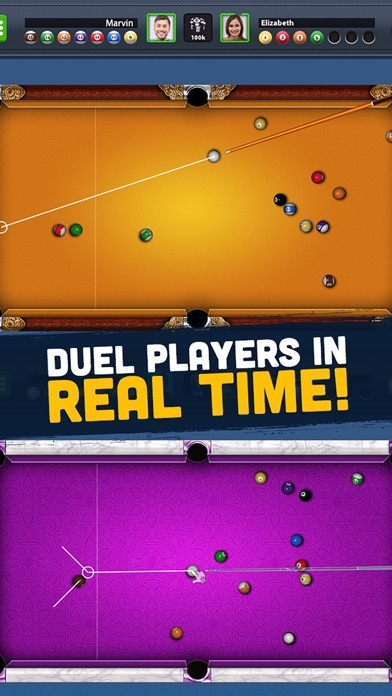 Super easy to connect and play with friends anytime and anywhere to show off your skills. 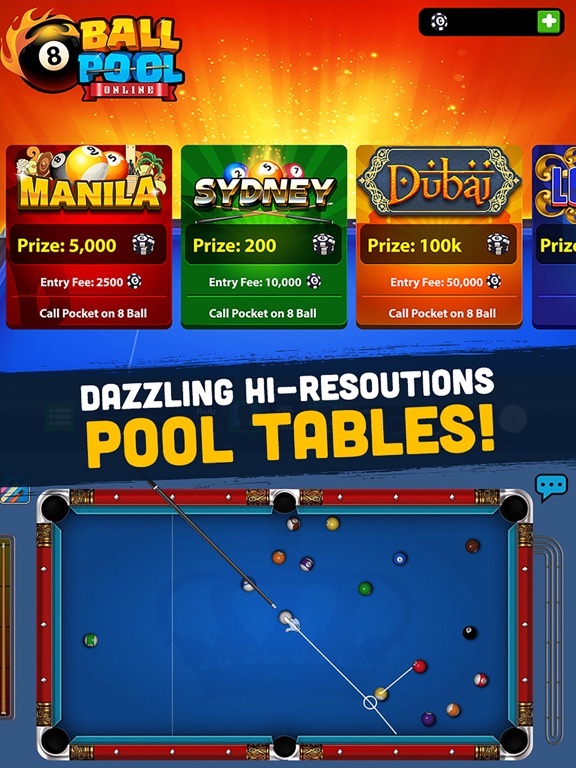 One of the most realistic and playable pool games available on mobile devices. Boasting fully textured game environments and full 3D rigid body physics. This game is the complete package for both casual and serious gamers. 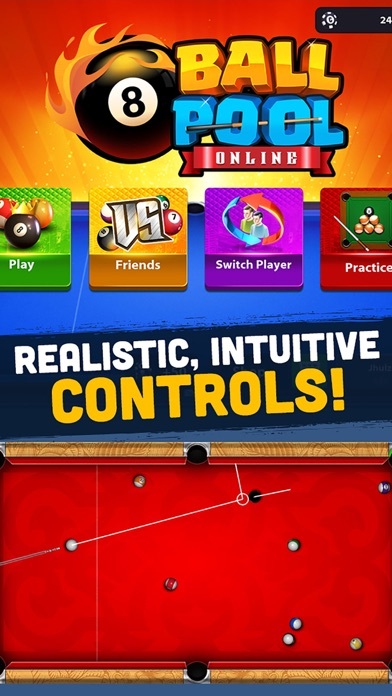 Realistic ball physics and intuitive touch controls. Apply spin and swerve with ease! 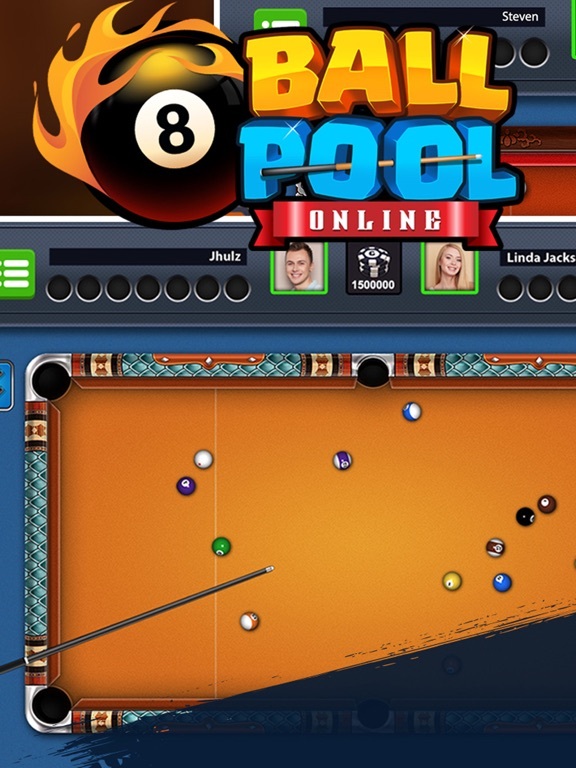 Download 8 Ball Pool for FREE today!